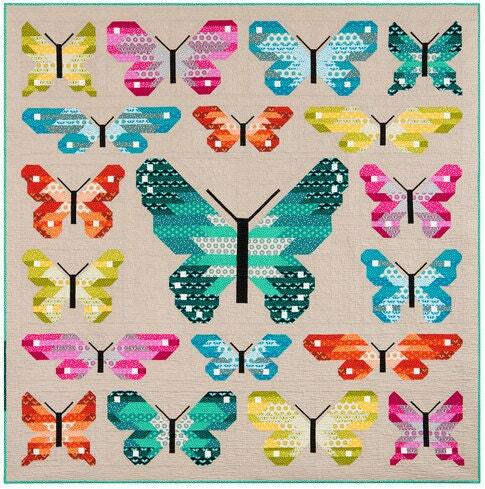 Like the biological order for which it's named, my Lepidoptera sampler quilt includes a variety of beautiful butterflies and moths. All blocks are sewn with simple straight and diagonal seams. No templates or paper piecing. 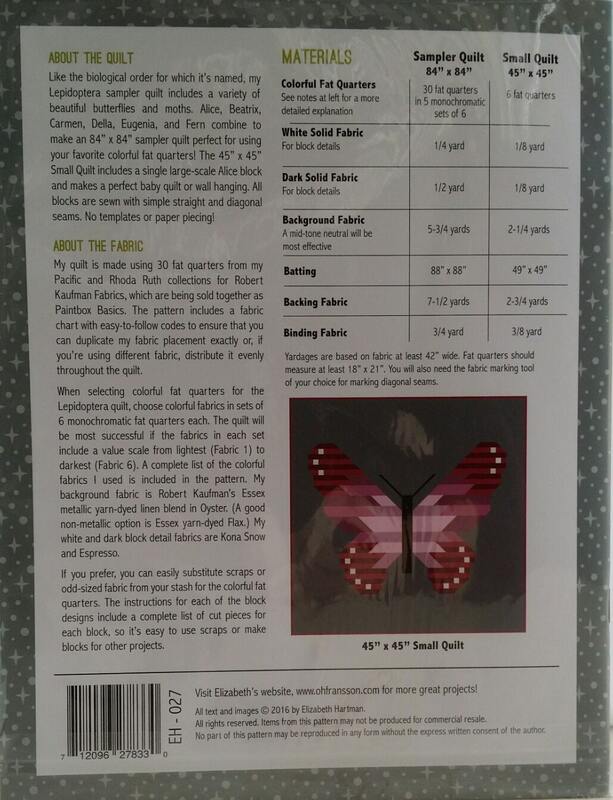 My quilt is made using 30 fat quarters from Pacific and Rhoda Ruth collections for Robert Kaufman Fabrics. 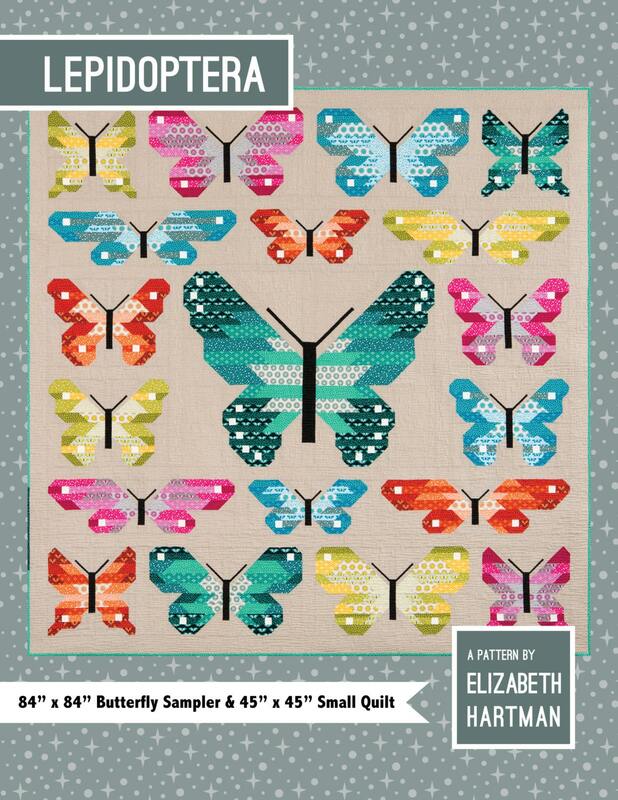 The pattern includes a fabric chart with easy-to-follow letter and number codes to ensure that you can duplicate my fabric placement exactly or, if you’re using different fabric, distribute it evenly throughout the quilt. Detailed instructions in pattern. 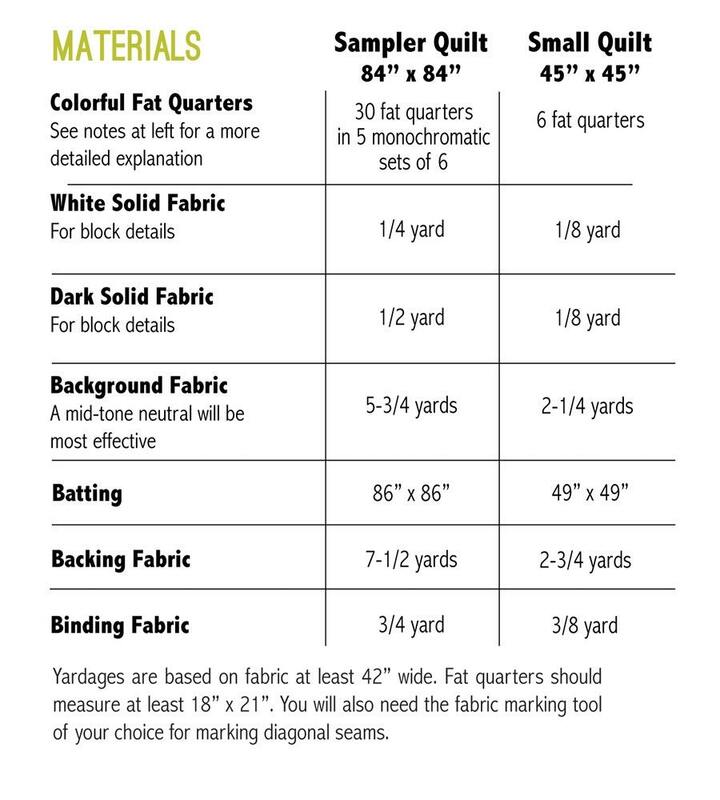 Yardage Chart included in listing pictures.